For over 5000 years, the very real benefits of meditation have been heralded by many world religions. For successful practitioners, meditation has achieved a higher state of consciousness, greater focus, creativity, self-awareness and a more relaxed and peaceful frame of mind. How can a set of mental exercises, practiced while sitting still, achieve such remarkable benefits? You can understand the phenomenon better, when you know that your mind senses patterns. That subconscious logic developed the nervous system over millions of years of evolution. Meditation succeeds by manipulating the quirks of the subconscious systems within your mind. Effective meditation frees you from the painful emotions of the ancient subsystems within your triune brain.These neural networks, including your reptilian and mammalian brain regions, were assembled by nature over millions of years. Elementary pangs, like hunger, or anger impelled the brains of reptiles, snakes and birds. Advanced social feelings like shame and guilt added more control options to the mammalian brains of dogs and cats. To these was added RI, the real "I," the human level intelligence, in the recently expanded prefrontal cortex. RI is a purely rational intelligence, the neural equivalent of your soul, the ghost, who is watching. Freeing RI from the detrimental effects of negative emotions is the true benefit of meditation. Meditation releases RI, the real you, your common sense, from the turmoil generated within your mind by your animal instincts. This page describes the benefits of Mindfulness Meditation and does not cover Transcendental Meditation. Mindfulness Meditation pays systematic attention to the thoughts and feelings within your mind. 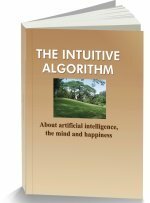 The focused attention of RI on the many instinctual responses of your mind makes you aware of these thoughts and stills the more irrational urges. Science has discovered the capacity of focused attention to still unrelated neural activities. Mindfulness meditation identifies the physical symptoms of emotions, undoing their power to manipulate your visceral reactions. 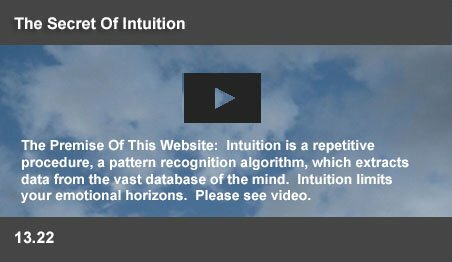 When the mind control tips in this website are also followed, mindfulness meditation can ensure continuing RI control, an enduring calm, common sense outlook to your life. The outstanding benefits of of RI control through Mindfulness Meditation have been noted by the Buddhists across centuries. Along with a calm mind, the Buddhists also practice love and compassion. There are two main modes of meditation. The mindfulness method familiarizes RI with the thoughts and urges of lower level subsystems. Pure meditation focuses the mind on a single word or object, stilling all the intelligences including RI. Mindfulness meditation may yield quicker benefits, since it makes RI familiar with the habitual forms of negative thinking. Such familiarity effectively subdues such thoughts. Pure meditation may achieve the same results by forcing an integration of thoughts within a subconscious process. Pure meditation has been proved to have significant medical benefits. This article focuses on the benefits of mindfulness meditation for effective mind control. In this form of meditation, the Buddhists advised “staring back” at your thoughts. Matthieu Ricard, a respected Buddhist monk said: "One may wonder what people do in retreats, sitting for eight hours a day. They familiarize themselves with a new way of dealing with the arising of thoughts. When you start getting used to recognizing thoughts as they arise, it is like rapidly spotting someone you know in a crowd. When a powerful thought or anger arises, you recognize it. That helps you to avoid being overwhelmed by this thought." Mindfulness meditation becomes familiar with and stills the lower level emotional control systems, assembled by nature, for animal survival. The early reptilian brains used smells to control survival responses. Identification of smells made the animal attack, flee, or consume/reject food. From smells, nature moved up to emotions,based on event recognition systems. Unpleasant events were remembered. Subsequently, hints of the possibility of such events triggered fear, or anger. Later mammalian brains added evaluation of social events to trigger responses. RI is the latest version, which uses a purely rational evaluation to impel responses. All these systems exist within your brain. Inevitably, subconscious mechanisms within your mind ceaselessly evaluate myriad survival strategies, including irrational ones. Mindfulness meditation uses RI to still the irrational urges of its colleagues. Focused attention stills unrelated neural activity. When you focus your attention on your toe, the touch sensory neurons in your toe will fire more rapidly and still the neighboring neurons. Increased firing makes you aware of the pressure of your shoe on your toe. Maunsell studied neural signals in the visual area of the cortex of monkeys, when viewing a swarm of dots on a screen. In the related cortical region, specific neurons fired for specific dots. When the animal focused on just one of the dots, the directed attention caused the neurons that signaled its motion to respond more strongly. At the same time, neural signals related to other dots were attenuated or filtered out. Meditation is a process, where RI focuses on a thought, word, or object. The fortunate side effect of focused attention is the stilling of unrelated neural activities. Emotions trigger thoughts in your mind. Social emotions are known to be triggered from the insulae, organs in your brain. The same region is activated by a range of feelings, including sharp pain, burning pain, cool or warm temperature, itching, muscle contraction, muscle burn because of lactic acid, joint movements, soft touch, mechanical stress, tickling, flushing, hunger and thirst. Thus your emotions also trigger physical feelings - cold fear, or a warm hug. In mindfulness meditation, you will become aware that your more common emotions come with subtle physical feelings. Thus, in the 300-400 milliseconds period, in which an emotion is triggered, you will also be able to detect a physical feeling related to the emotion. Familiarity with such signals is a byproduct of mindfulness meditation. There is a mechanical switch. When your RI recognizes the start of a familiar feeling related to an emotion, the onset of that emotion is instantly inhibited! Suppose you get a knot in your stomach, whenever you are summoned to the executive floor. Become familiar with that feeling. Next time, when you get that upstairs call, recognize the knot. You will have pulled a pattern recognition switch. The raw fear, which you usually experienced, will just vanish. Provided you also followed all the Mind Control Tips. That process of recognition results from mindfulness meditation. Emotions also trigger voices in your mind. Angry words, or guilty ones. Listen and you will hear many familiar voices. You will get the “Aha!” feeling of discovery, when you realize they are not your own. Familiarity will kill most of the unwanted and unpleasant thoughts. With practice, mindfulness meditation effortlessly stills your attacks of fear, resentment or anger and enables RI to control of your mind. You will know you have reached, when you discover that your evaluation of any problem has become purely rational. Like a computer statement, which is neither angry, nor sad, but just a list of facts. The Buddhist explanation of the outcome of mindfulness meditation describes a parallel view: “You will not see something is good or bad, whether it is a beautiful picture or a very ugly picture, a sweet sound or an ugly sound. When you act like this, your mind will stay calm.” But, a purely rational view may not be your objective. When your mind is free of negative emotions, joy and wonder will also be your normal pattern recognition responses to the beautiful world around you. Buddhist practices have enabled phenomenal controls over the pattern recognition systems of the mind. Richard Davidson narrates the response of a Buddhist monk to a loud sound, like a pistol being fired close to your ears. Since the response is triggered from the brain stem, the early reptilian part of the brain, an ordinary person cannot prevent flinching. Yet, not a muscle in the monk's face flinched. He is reported to have said that it felt “like a bird crossing the sky.” His focused attention had switched off even a primary link in his brain! The Buddhists have also continued beyond the RI stage. They practice the feeling of love and compassion. They imagine the world around them and share its joys and sorrows. Love and compassion are nature's gifts, which are higher than the immense wisdom of RI. With a calm mind, you also have the option to be immersed in nature's noblest gifts.